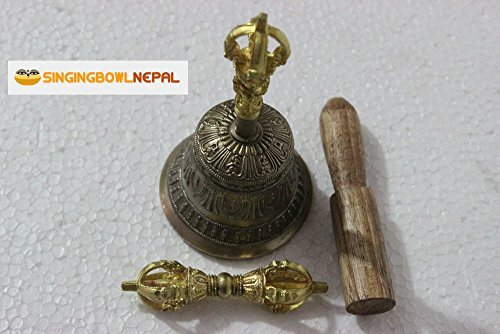 Weight : 300 grams Bell Only, 400gms including a dorje (vajra) and Sticker. Made Of : Brass and 7 Auspicious Metal. Set includes a bell, a dorje (vajra) and Sticker. Made Of Brass and 7 Auspicious Metal. If you have any questions about this product by Singing Bowl Nepal, contact us by completing and submitting the form below. If you are looking for a specif part number, please include it with your message.